Pony® 10" Aluminium Single Point Knitting Needles - 2.75 mm. These Pony knitting needles are great starter needles for beginners and useful addition to anyone's ..
Pony® 10" Aluminium Single Point Knitting Needles - 3.75 mm. Pony® 10" Aluminium Single Point Knitting Needles - 4 mm. Pony® 10" Aluminium Single Point Knitting Needles - 4.5 mm. 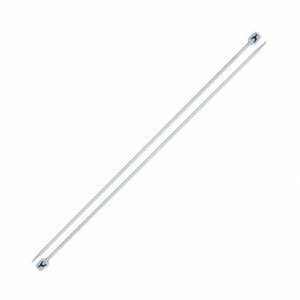 Pony® 12" Aluminium Single Point Knitting Needles - 2 mm. Pony® 12" Aluminium Single Point Knitting Needles - 2.25 mm. Pony® 12" Aluminium Single Point Knitting Needles - 2.5 mm. Pony® 12" Aluminium Single Point Knitting Needles - 2.75 mm. Pony® 12" Aluminium Single Point Knitting Needles - 3 mm. Pony® 12" Aluminium Single Point Knitting Needles - 3.25 mm. Pony® 12" Aluminium Single Point Knitting Needles - 3.5 mm. Pony® 12" Aluminium Single Point Knitting Needles - 4.5 mm.